The traditional opening band of the WVJBF returns this year! Catch them on the Green starting at 1:30! Growing out of London’s big band tradition, the Moonliters gather weekly throughout the year to read through an extensive and challenging collection of jazz charts. The group enjoys performing exciting swing music that recalls dance hall days in Southern Ontario. 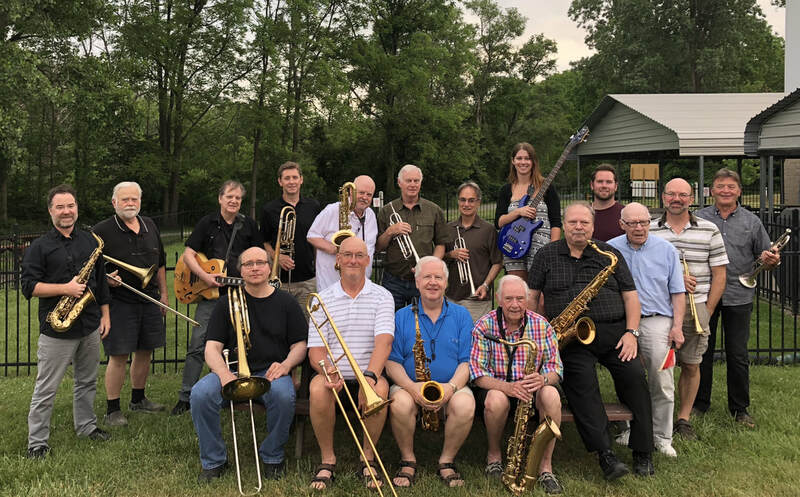 The 17-piece band rehearses most Tuesdays 7:30 to 9:30 on the lower level of the Lambeth Legion where dancers and listeners are always welcome. Band emcee and singer Brian Ball is a two-time nominee for the JRLMA Jazz Vocalist award. A resident of Wortley Village, he performs with several big bands and smaller groups in London and Southwestern Ontario.